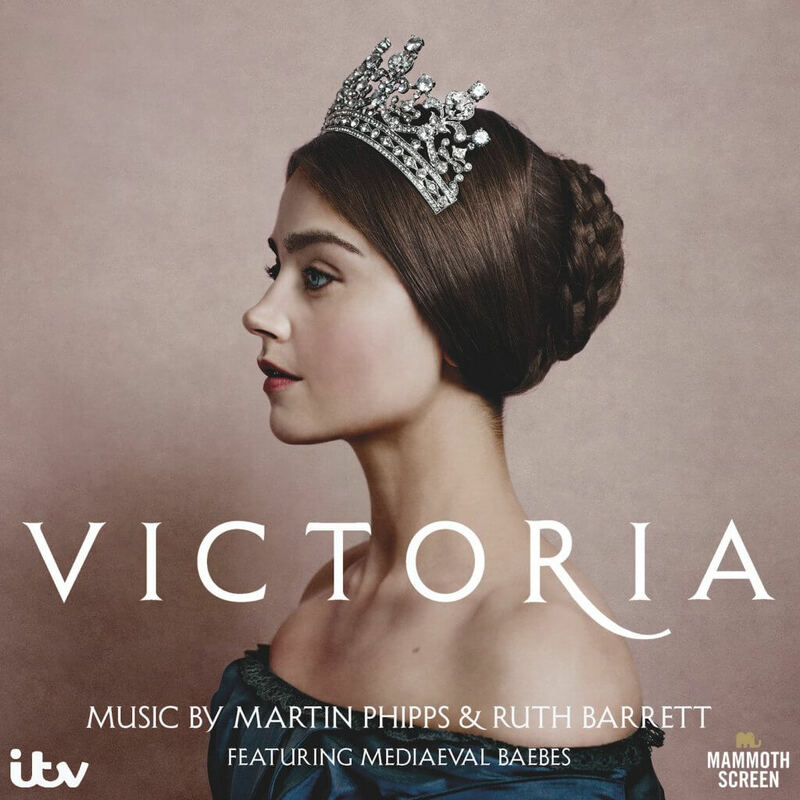 This is multi-BAFTA and Ivor Novello award winning composer Martin Phipps’ and Emmy-nominee Ruth Barrett’s original soundtrack to the landmark 2016 ITV/PBS television drama, VICTORIA, produced by Mammoth Screen and Masterpiece. Now in its third series, VICTORIA follows the life of Queen Victoria, from her ascension of the thrown at the tender age of 18, through to the end of her 63 year rule as England’s second longest serving monarch. Martin’s music can be heard across episode 1 of the first series, including the “Allelulia” theme, which was performed by the Mediaeval Baebes. Ruth’s contribution to the drama spans across all 3 series, weaving in some of Martin’s original themes and creating new ones to track Victoria settling into her life as a young queen, her relationship with Prince Albert, and the changing face of Victorian England. The show is created by novelist Daisy Goodwin and stars Jenna Coleman, Rufus Sewell, Alex Jennings, Paul Rhys, Tom Hughes and Peter Firth.